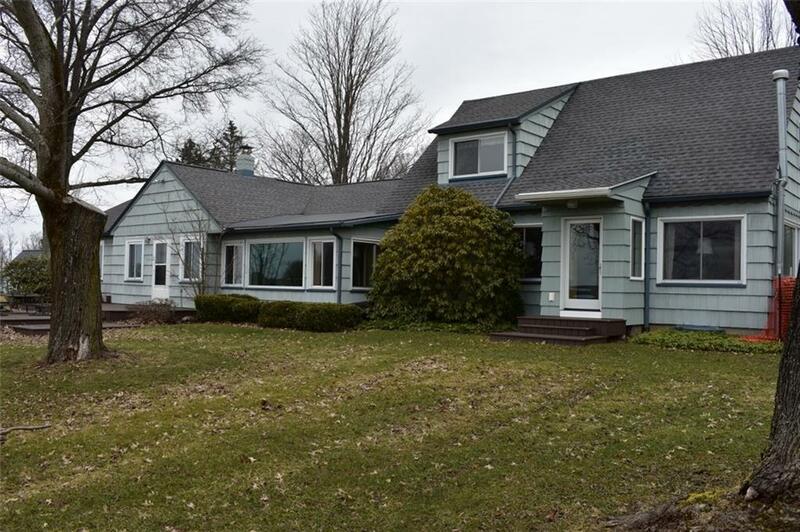 The Breathtaking view of Chautauqua Lake is just one of the many reasons to fall in love with this charming cape cod home. Located on a dead end road with 3 connecting lots, 2 on Ridge Road, 1 on the highly desirable location of Grandview. The main floor consists of formal dining, living room, kitchen,first floor bedroom & full bath. Second floor has two bedrooms, full bath, closets & access to attic above garage. The home also features a guest suite with private entrance, living room, kitchen,full bath & bedroom. Extra building (10x14) with deck. Two car attached garage. Take in the panoramic view from the spacious patio & large yard. Full basement, new boiler. and in Southwestern school district. Located close to all Lakewood has to offer but tucked away from the hustle and bustle. Directions To Property: Ridge Road Is Off Hunt Road And Behind Grandview.